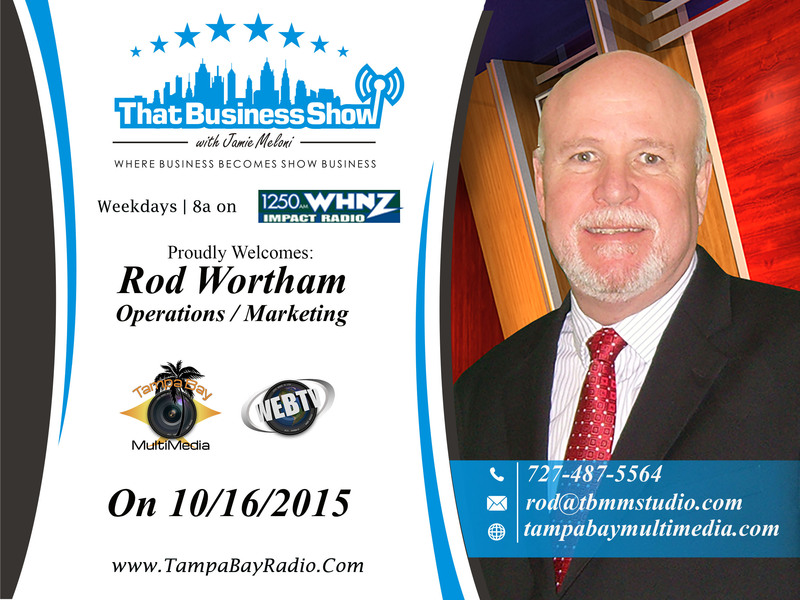 Happy Friday and welcome to another episode of #ThatBusinessShow! As we bring another great week to a final close, we want to thank you for joining us this week mon-fri at 8am on #1250whnz, and for supporting the show in which we pride ourselves on promoting local businesses and professionals. If you want to come on the #MorningAir, leave us a message at http://www.tampabayradio.com and we will get back to you shortly! Today on the show, we focused a bit more on production and entertainment than usual! As our guests, we had John Gaston and Rod Wortham from Tampa Bay Multimedia! We also had two more wonderful geusts, Barry Horvath and DeLynn Gaston, hosts of Moving Forward TV and Creators of the website, http://www.easymortgageanswers.com! Remember, #ThatBusinessShow airs every weekday at 8am on #1250WHNZ, and if you missed our live show, head to http://www.tampabayradio.com or Jamie’s YouTube Channel at http://www.youtube.com/jamiemeloni! 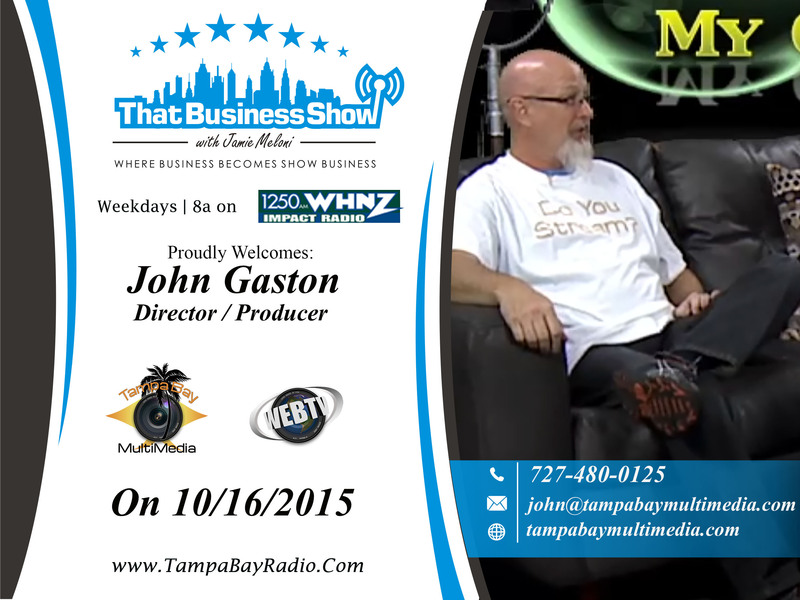 First on the show, we had John Gaston and Rod Wortham from Tampa Bay Multimedia! John Gaston is the Director and Producer of Tampa Bay Multimedia, and Rod Wortham is the Operations and Marketing Manager with the company as well! Tampa Bay Multimedia specializes on getting the message of your business out there in the world! From spaces on TV, to radio and web services, they can get your viewership to significantly raise! We highly recommend them, as they are responsible for our livestream, which brings in 40,000 viewers! They took #ThatBusinessShow from a few thousand in February to the current total which is pretty impressive just for the stream alone! They spoke to our listeners about their new inclusion of drone technology to further enhance their services! Please consider Tampa Bay Multimedia for all of your videography needs! If you missed the show live, then head to http://www.tampabayradio.com! 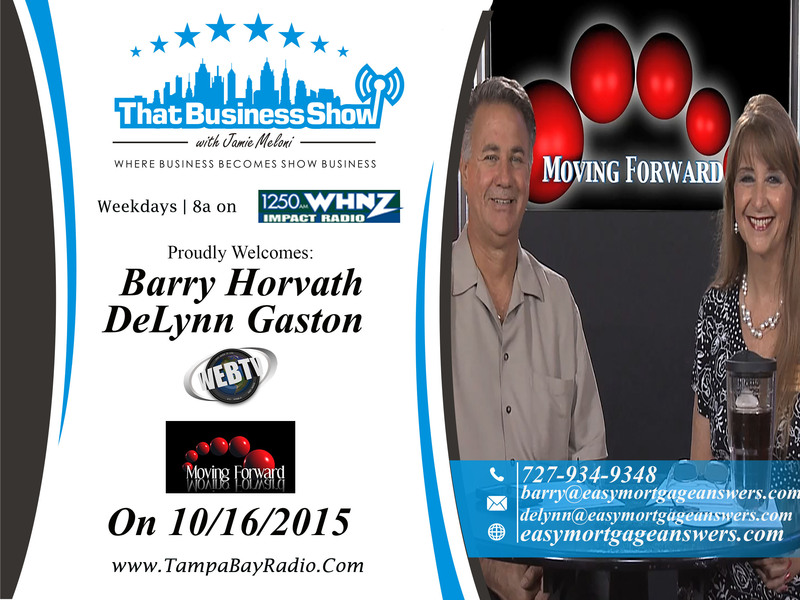 Our next two guests were Barry Horvath and DeLynn Gaston, hosts of Moving Forward TV and Creators of the website, http://www.easymortgageanswers.com. They pride themselves on offering educational material on mortgages, finances, and real estate in a great and sometimes even humerus way! With more than 1.2 million viewers, they are educating people around the country to be more savvy when buying a home, and are letting them know about important changes in the Real Estate Business! So take some time and head over to http://www.easymortgageanswers.com for all of your mortgage questions! If you missed Barry and DeLynn, head to http://www.tampabayradio.com to listen to the show! This entry was posted in Articles, Entrepreneurship and Business and tagged business, interview, radio, show business, talk, work. Bookmark the permalink.